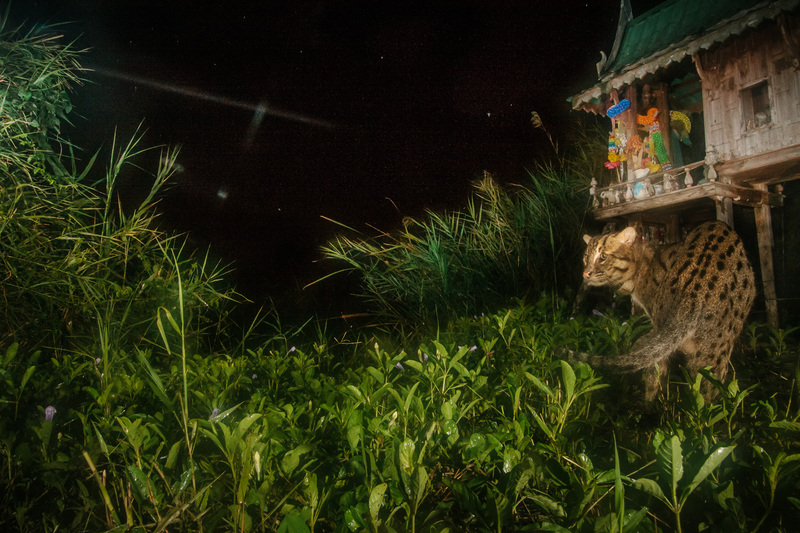 Khai Toon, a recently collared male fishing cat pauses next to a spirit house in Sam Roi Yod, Thailand. Spirit houses are shrines to the land's protective spirit. Landowners will leave food and other offerings to keep the spirit fed and encourage good luck. Khai Toon had been using it as a latrine. To camera trap, we used store-bought chicken bait under the supervision of and using the same methodology as the research team.